Maumee, OH, WPH Press, 9/3/18- Labor Day weekend featured the 68th edition of the USHA Three-Wall Championships, as the world’s best 3-Wall stars traveled to Northwest Ohio to battle for prestigious titles at the Lucas County Rec Center. Men’s pro singles #1 seed Sean Lenning was seeking his 10th USHA Three-Wall singles championship, while also aiming to repeat in the doubles with four-time SR48 Player’s Champion Marcos Chavez. On the women’s side, Hilary Rushe was seeking her third consecutive title. Sean Lenning advanced to the final with a two-game semifinal sweep against R48 rival Luis Cordova. Lucho challenged the 3-Wall king, but fell short late in both games of the semifinal clash. “Lucho got off to slow starts in both games, and even though he was able to make comebacks, Sean’s serve was just too tough late in both games,” stated Danos Cordova. Danos advanced to his first 3-Wall national final by ousting 3-Wall veteran and #2 seed Dane Szatkowski in the bottom bracket semifinal. “The first game was close but Dane seemed to get tired and frustrated that I got to a lot of his shots,” barked Danos. Team Cordova ended the Sean Lenning/Marcos Chavez title defense in the upper bracket semifinals, overcoming a 15-19 deficit in game one against Team Lenning/Chavez to score six consecutive points to take a one-game lead. Team Cordova built a 13-0 lead in game two on the strength of Danos’ power hop serve and closed out the defending champs to cruise to the final. The bottom half semifinal featured a battle of brothers, with Team Szatkowski overcoming Team Munson in a tiebreaker to advance to the final. 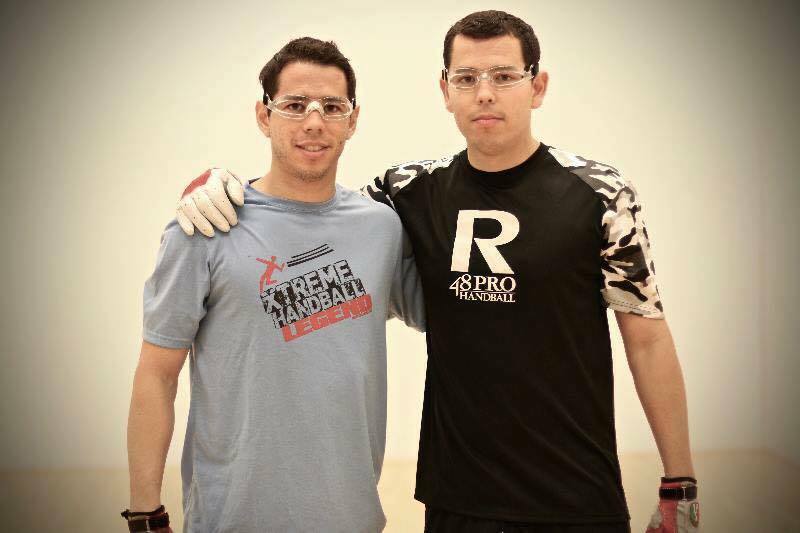 Team Cordova was too steady in the final, picking up their first 3-Wall national doubles title in a two-game sweep. Team Cordova snatched their second 3-Wall national doubles on Labor Day in the 3-Wall Big Ball doubles, overcoming another defending champion to slam the small ball and big ball doubles. Team Cordova were explosive in the final, flying all over the court to defeat New York’s Allan Sanchez and Mikey Mendoza. 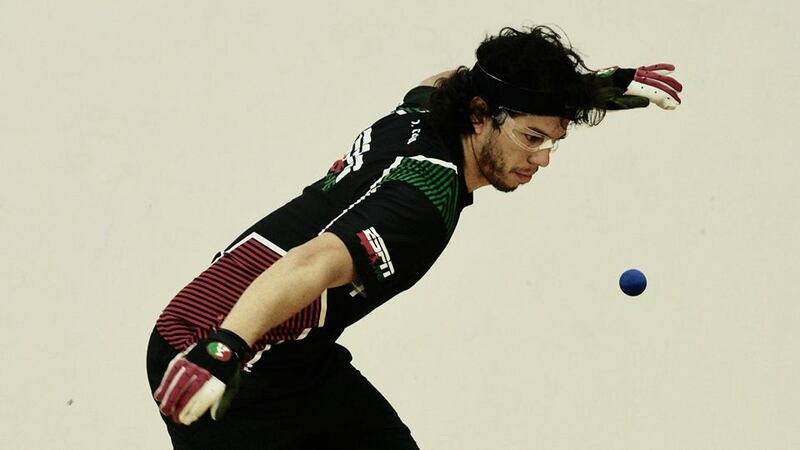 Allan Sanchez and Mikey Mendoza bounced back in the 1-Wall Big Ball doubles, defeating New York’s Richard Vera and Leonardo Medina in the final. 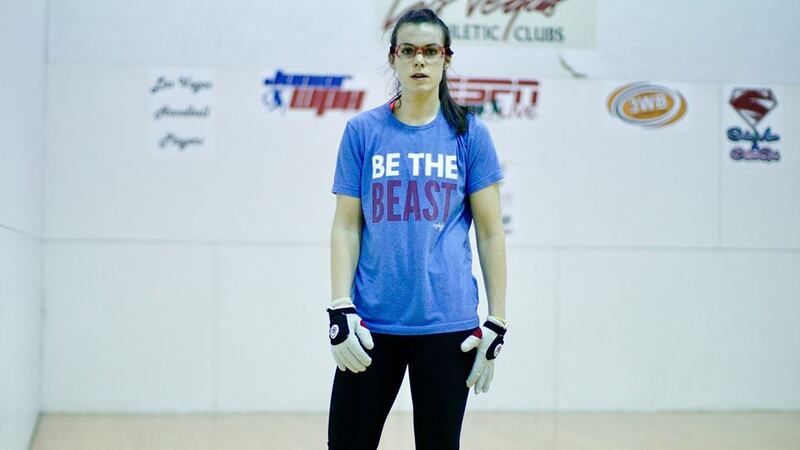 Hilary Rushe picked up her third consecutive Women’s 3-Wall title, allowing just 30 points in her four games. Rushe teamed with Carly Munson to slam the Women’s pro brackets, defeating WPH Ace of the Month Kristen Hughes and Ohio’s Leah Kirk to win the women’s doubles. Thank you to WPH reporters and 3-Wall doubles slammers Luis and Daniel Cordova for the updates from Maumee.